France was the birthplace of modern Grand Prix racing over 100 years ago, but until 2018 it had been a decade since the last French Grand Prix. Paul Ricard returned to the calendar last season after a 25 year absence. The 2019 French Grand Prix is on 20-23 June. Organized motor racing originated in France during the last years of the nineteenth century, but modern Formula 1 racing can be traced back to the first running of the French Grand Prix on a 103-kilometer circuit near Le Mans in 1906. The term Grand Prix translates as ‘Grand Prize’ in French and refers to the 45,000 Franc prize money paid to the winner of the race. As the Franc currency was pegged at 0.290 to the price of gold, the winner of the inaugural French Grand Prix received the equivalent of 13kg of gold! The French Grand Prix has been staged on sixteen circuits over the years. Early circuits were comprised of mainly public roads, including the first running on the legendary Le Mans road course in 1921 and several deadly one-off events that that took the lives of both competitors and spectators. It wasn’t until 1925 that the first dedicated circuit was built, south of Paris. The 12.3 kilometer L’autodrome de Linas-Montlhéry featured 51-degree banking and hosted the French Grand Prix eight times between 1925-1937. Another legendary venue was the Reims-Gueux circuit in the Champagne region of north-east France. This circuit first hosted the French Grand Prix in 1938 and also featured in the first year of the modern Formula 1 World Championship in 1950. The last race at Reims-Gueux in 1966 was won by Australian Jack Brabham. In 1971, the French Grand Prix moved to the newly-built Paul Ricard circuit near Marseille, which was named after (and financed by) the eccentric millionaire famous for Ricard, an anise and licorice-flavored aperitif. The original 5.8km circuit was dominated by the long Mistral straight. Coupled with other high-speed sections, it was notoriously hard on F1 engines, which often failed after being subjected to full revs for much of the lap. The Paul Ricard circuit hosted 14 editions of the French Grand Prix between 1971 and 1990, and has also been a popular venue for winter testing due to its mild climate and airstrip. Since 1999, the Paul Ricard circuit has been owned by the family trust of ex-F1 boss Bernie Ecclestone. From 1991-2008, the French Grand Prix found a new home at the Circuit de Nevers Magny-Cours (or simply Magny Cours) in the center of the country. The track had been built in 1960, but fell into disrepair in the 1980s before being rejuvenated by the local government and winning the contract to stage the French Grand Prix. The circuit was a favorite of Michael Schumacher, who won a record eight races at Magny Cours between 1994-2006. 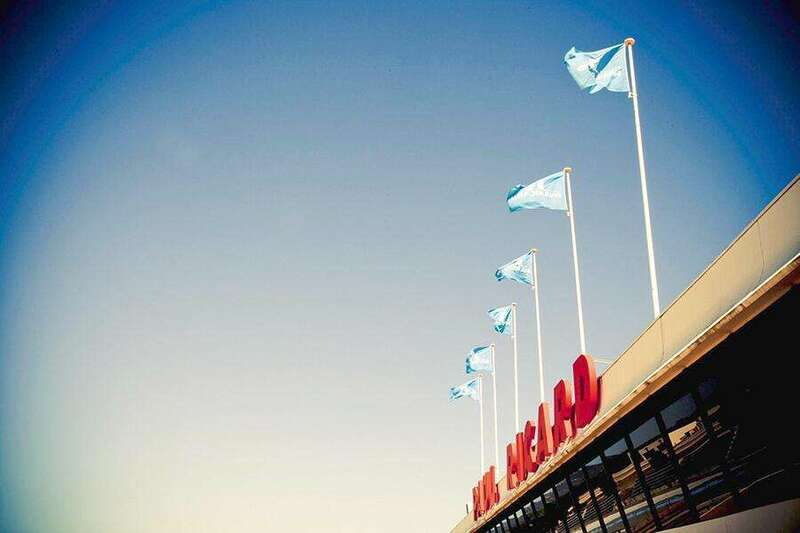 Suffering from low spectator numbers due to its remote location and poor access, the death knell for Magny Cours was signed in 2008 when the French Motorsports Federation (FFSA) withdrew its financing for the event. Fast forward ten years and the French Grand Prix returns to the Formula 1 calendar in 2018. 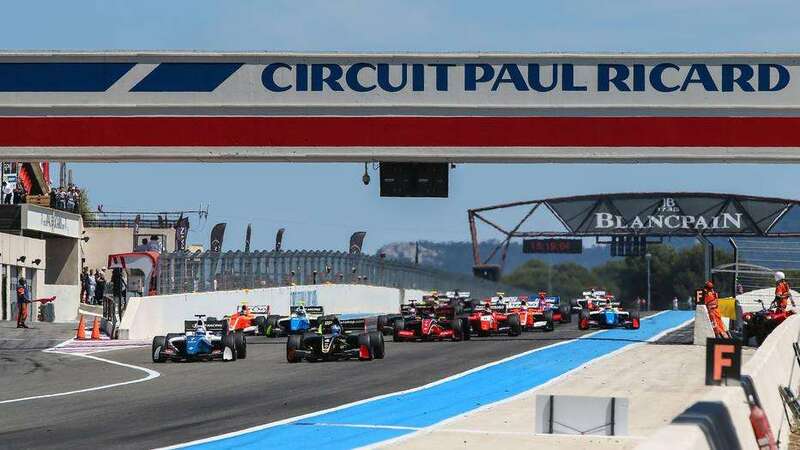 A five-year deal to stage the race at Paul Ricard was announced in late 2016 by Christian Estrosi, President of the Regional Council of Provence-Alpes-Cote d’Azur, who promised the event would be an important driver of economic development and tourism for the region. French Grand Prix: did you know? Michael Shchumacher has more French Grand Prix wins than any other driver, winning the event eight times. He took all of his victories at the Magny-Cours track. Ferrari have the most French Grand Prix wins, with 17. At the Paul Ricard track, Williams and McLaren share the record for the most victories, with three apiece. Alain Prost won his home race on six occasions, including four wins at Paul Ricard. Nigel Mansell is the only driver other than Prost to have won at the Paul Ricard track more than once. He won here in 1986 and 1987. French manufacturer Renault won the first French Grand Prix in 1906, then had to wait another 73 years for its second victory in 1979! Renault has won a total of six French Grands Prix, most recently in 2005. Another French manufacturer, Bugatti, also won the race six times between 1926-1936. Elio de Angelis was killed at Paul Ricard in 1986 when the wing on his Brabham BT55 detached at high speed, pitching the car over the barriers. The Italian was barely injured in the initial impact, but died from smoke inhalation as insufficient track marshals were on hand to extricate him from the burning car. The podium at the 1982 French Grand Prix was made up entirely of French drivers. Rene Arnoux won the race, and was joined in the top three by Alain Prost and Didier Pironi. Patrick Tambay finished in fourth too! The 1996 French Grand Prix, held at Magny-Cours, was the last F1 race to not feature any drivers who had been crowned World Champion. Michael Schumacher qualified on pole but was unable to start the race due to engine problems. Future champions Damon Hill, Jacques Villeneuve and Mika Hakkinen all finished in the top five.